Tragic event in Italy this morning. This satellite shows the storms that led, at least in part, to the disaster around the time of occurrence. They formed just ahead of a cold front. I'm afraid at the moment it looks like yesterday's weather had nothing to do with it and was purely coincidental. It was 51 years old and was going to collapse at some stage. The reports here in Italy are focused more on the limited longterm durability of the reinforced concrete structure. Only two years ago a prominent civil engineer here highlighted the problem, recommending that bridge be demolished and rebuilt in steel. Cost, of course, was the big hurdle. No doubt, though, that this tragedy will be hijacked by the climate brigade and used as evidence of the effects of climate change, despite the facts above and that weather like yesterday's is typical of this area and has been forever. The worst floods in a century in the Indian state of Kerala have killed 324 people and forced more than 200,000 into relief camps, according to officials. Well, it's not really an extreme, but on Saturday night we had a temperature of 22c in London! That's got to be one of the warmest October nights ever officially recorded. Several months worth of rain fell in southwest France in the space of a few hours . 12 dead so far, including a nun who was swept away in her sleep. Can't share SM on the touch site, but there's a massive series of electric storms battering Sydney, NSW just now, 20 strikes per minute in the harbour area, extraordinary looking skies and squalls all over twitter. 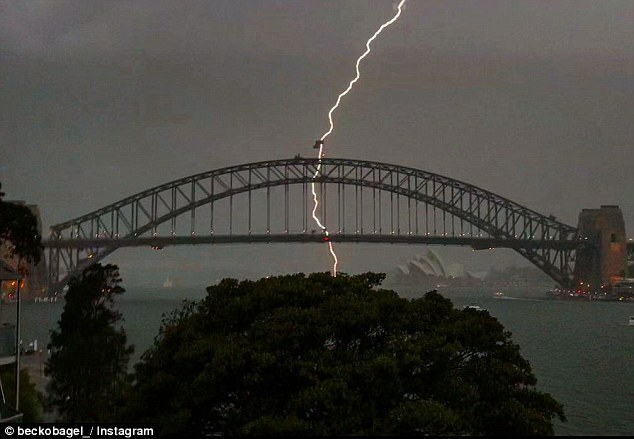 "The Bureau of Meteorology (BOM) has issued a severe thunderstorm warning across the span of NSW, with Sydney in the path of a massive electrical storm. Earlier in the day, people in Mudgee, Orange, Moree, Narrabri, Walgett, Dubbo, Parkes, Coonabarabran and Lightning Ridge were warned to expect heavy rainfall, which could lead to flash flooding and damaging winds." Snow being cleared off a road in the Carpathian Mountains in Romania. VERY intense is very much an over reaction. Looks to be about moderate intensity large flakes to me. If it was VERY intense, the nearby building would be at least partially obscured.